1. 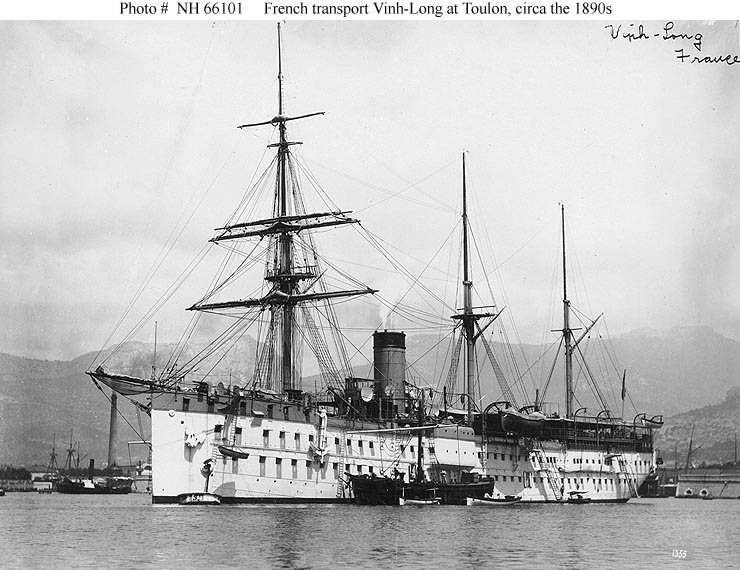 Iron built screw steamship of 5.350 gross register tons built at Chaigneau et Bichon, Bordeaux, France in 1881 as troop transport for shipping military to the French military. Served in the First World War as hospital ship and since 1918 again as troop transport. When a fire broke out finally blown up when the magazines exploded on 16 November 1922 in the Sea of Marmora, Turkey. Dimensions 105 x 15,4 x 6,7 metres. 2. She visited according to the Dutch Jaarboek van de Koninklijke Nederlandsche Zeemacht 1900-1901 Sabang, Dutch East Indies between 17-18 July 1900.